Käsityötalo Elviira has been in operation since 1986. The business’ own embroidery collection is traditional with newer motifs included. The studio features a permanent exhibition of traditional embroidery. The summer shop of handicraft enthusiasts brings together local artisans and their high-quality products. Fresh produce from the market! The toyshop is a paradise for miniature and toy car enthusiasts. The Mobilia museum shop is a versatile shopping venue where you can find, among other things, a wide range of literature on cars and road traffic as well as interior decoration products. Factory outlet of Finnish textiles. Nyssäkkä is a decor and gift shop in the Kangasala town centre. Sipeta’s services include laundry, a cobbler, banqueting service, clothing repair, and handicraft supplies. You can come here yourself to take part in activities, purchase Kangasala products and order custom-made textiles. A firing service for silver clay jewellery also provided. A traditional, Finnish and ecological underwear manufacturer that has been in operation since 1925. All stages of the production are implemented in Finland. Art in Me sells art and art handicrafts, such as paintings, sculptures, jewellery, textiles and fun gift items. 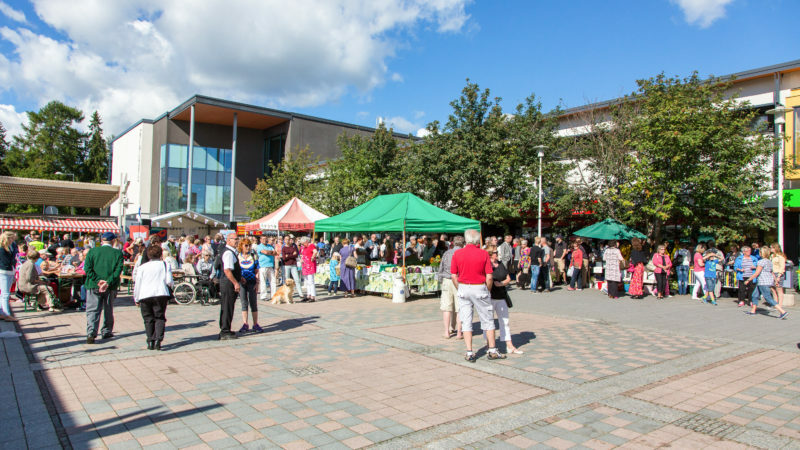 Kangasala has several flea markets, such as Pirkan kirpputorikeskus and Kirpputori Outolintu, whose abundant selections are worth a visit. Kangasalan Kemikalio is a charming gift shop and specialty store with good service right in the Kangasala town centre. More shopping opportunities and services are available at kangasalla.fi.